Showhomes available to view on Saturday and Sunday 2-4pm. The Citywest story has reached an exciting new chapter. 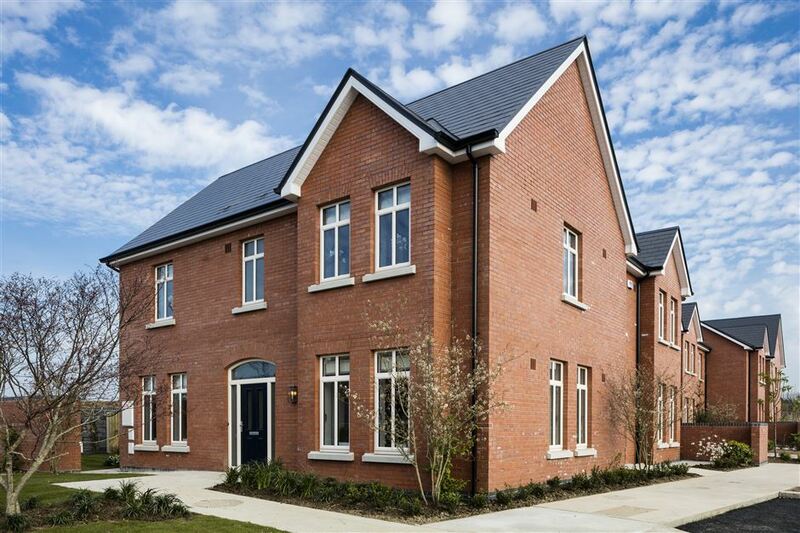 Davy Hickey Properties, the developers of the adjacent Citywest Business Campus are now introducing Citywest Village – a unique residential development of spacious A-Rated 3 and 4 bedroom homes inspired by the red brick streets of some of Dublin’s oldest villages. The houses have been designed in the traditional Edwardian style with a full red brick elevation as well as many attractive features such as slate roofs, beautiful brick arches and granite cills. Citywest Village offers a range of townhouses, semi-detached and detached homes. Citywest Village is situated on the LUAS (Red Line), the Citywest LUAS stop close to the Village Green will be central to the development, providing quick and easy access to Dublin City Centre. In addition, Citywest Village offers the convenience of being only a few minutes’ drive from the M7 and very convenient to the M50 and its main arterial routes. Citywest Shopping Centre is very close by. This is another high quality development by Davy Hickey Properties complementing the adjacent world class Citywest Business Campus. Citywest Village offers a selection of spacious 3 and 4 bedroom family houses, the 3 bedroom houses ranging from approx. 109 sq.m / 1170 sq.ft to approximately 116 sq.m / 1245 sq.ft and the 4 bedroom houses will by approx.131 sq.m / 1405 sq.ft. All of the houses will be 2-storey. From Dublin City or the M50 (Junction 9) take the N7 heading South. Continue for about 5 minutes and at Exit 3 (Brownsbarn), leave the N7 to your left, entering Citywest Business Campus. At the first roundabout (number 3), take the 3rd exit (turning right) onto Citywest Road. Go straight through the next roundabout (number 4) and take the first left at the next roundabout (number 5) onto Citywest Avenue. Citywest Village is on your right hand side, opposite the Business Campus and the pedestrian entrance to River Walk.